We've witnessed how Pioneer Insurance has been able to bring forth playwrights and art competitions a few years back and this time they're turning to music. With their partnership with FILSCAP (Filipino Society of Composers, Authors and Publishers) to bring you Pioneer Insurance's #MoveOnLang Songwriting Competition. They've held various campus caravans and done the legwork to get songwriters to submit their work. They just recently announced the finalists. 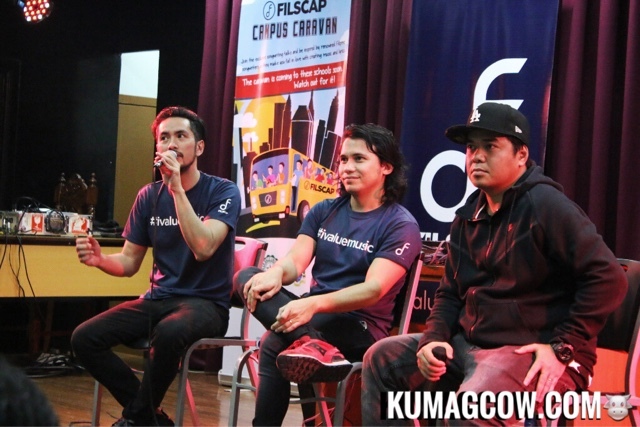 The jury composed of FILSCAP's honchos like artists Rico Blanco, Yael Yuzon, Gloc9 plus Pioneer Insurance executives Marketing FVP Len Pozon, Retail Organization Head Lorenzo Chan Jr. and others chose the best of the best of these entries and now they've got a mix of different genres that you'll surely love! You may head on to www.moveonlang.ph from January 4 to 23 so you could vote. The finalists will win Php 100,000 for the first place, Php 50,000 for the second place and Php 30,000 if they place third. The others will also receive Php 10,000 and insurance packages from Pioneer Insurance worth Php 100,000. If you want to know more about the competition, go to www.moveonlang.ph and their page Facebook.com/PioneerIsYourInsurance.